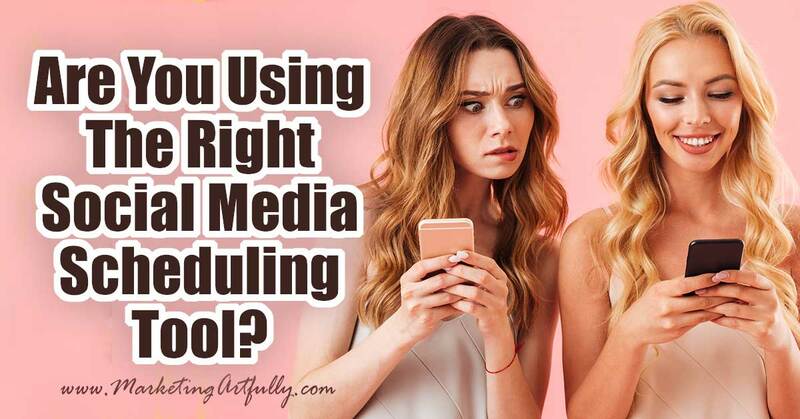 I will be reviewing my top 7 social media scheduling tools and giving you my best tips and tricks for picking a good one for your small business! Taking a couple of minutes to think about your strategy before picking one could save you hours or days of work later. 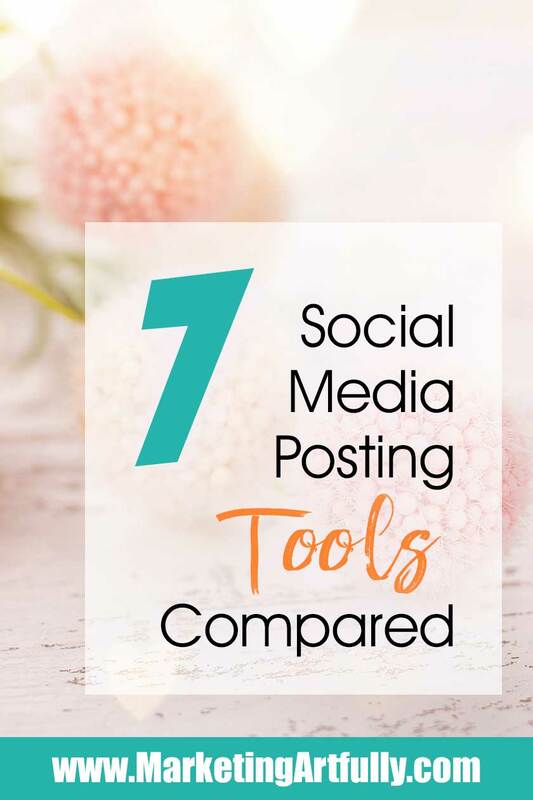 What Do You Need In A Social Media Posting Tool? Let’s start in a way that makes sense for us, instead of starting with the billion services that are out there. Instagram – I have only been using my Instagram for personal pictures… I have a couple of other accounts I could use if need be… for now let’s keep Instagram in the mix. TO DO :: Figure out how many social accounts you really have! Over the years I have had different goals with social media. In the past it was a bigger driver of traffic to my site, but now it is not doing all that much if I take an honest look. 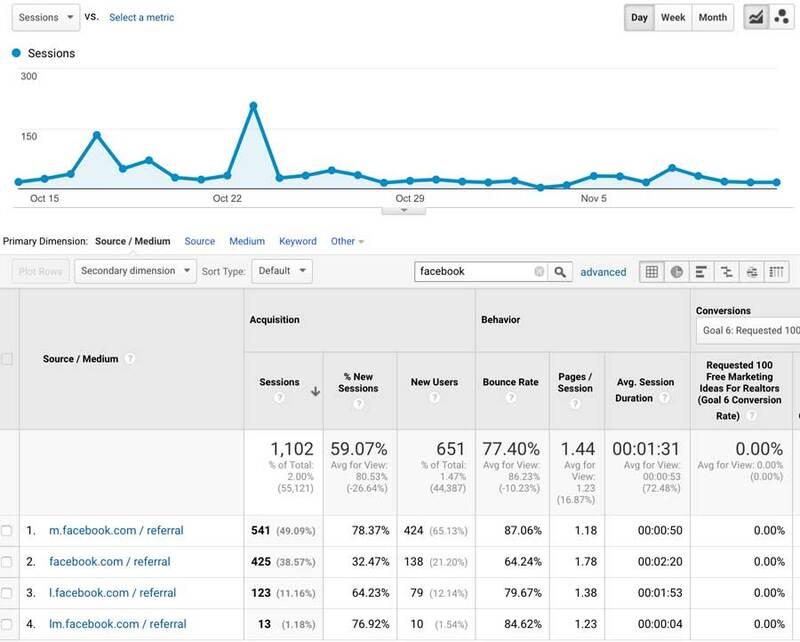 For example, I have gotten over 1,000 hits from Facebook in the last month… but that is only 2% of the total hits to my website! So is spending time scheduling Facebook posts to multiple pages more important, or would writing more content be a better use of my time? TO DO :: Figure out your main goal for social media. What Are You Trying To Automate? Over the years there have been different levels of automation available. WAY back in the past you could automate following Twitter people and more recently that you could automate “libraries” of content that could be posted out month after month without paying attention. Well, Twitter has said you can’t have those duplicate posts anymore and (at least for me) Facebook is sending less traffic to the autoposts, so you need to determine what level of posting you are willing to schedule. One of the reasons I have been so hesitant to change over to a new service is that I didn’t want to have to recreate the “libraries” of content that I already have posting to Facebook… sigh. But if they are not generating traffic, then it is not actually a loss. One “automation” that I find helpful is to have the service pull in RSS feeds that help you find other content to post. TO DO :: Do you need to actually “automate” content or can you schedule out a couple of weeks or a month at a time. Note… I just set up automation in Pinterest using Tailwind Looping. Because I DO get traffic from Pinterest, it was worth setting up the libraries of content there. I will not be setting them up for Twitter or Facebook because I haven’t seen a return on my time investment lately. How Much Is Social Media Posting Worth To You? Last, but not least, before we start looking at different posting services, let’s think about how much we are willing to spend on them! Some things that can increase the cost of the service could be additional accounts or extended reporting features. If you are seriously focusing on social media in your business, then you will want to spend more on these additional services rather than skimping and not knowing if your efforts are paying off. I am seeing good results from Pinterest so I am willing to pay a pretty penny for Tailwind, but since the others don’t have great results I wouldn’t be willing to pay as much for those tools. 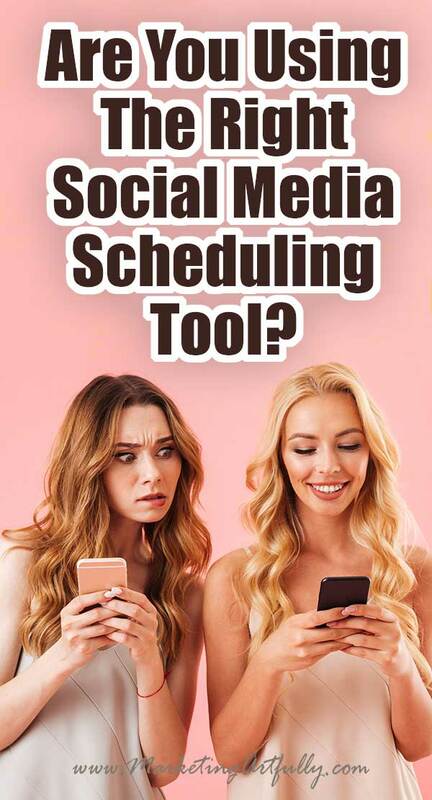 Someone who has a huge Instagram following might pick a custom tool just for Insta and then use a regular scheduler for the rest. TO DO :: Set a realistic budget that makes sense for your small business. I was searching around for different services and found that there is A LOT of confusing differences. Since I was making a decision myself, I thought I would set some criteria and then try to compare them apples to apples! This is the service that I have been using for over a year and they were great when it was easy to set up a library and just post things out. Since then they have changed their “post once” feature and also Twitter has said you can’t post multiples of the same content so it really became less effective for me. Alright, as I have gone through this research I have to say that Loomly is intriguing. The $15 price point will help me save $35 a month over Meet Edgar which I could put towards other paid marketing. So far Social Draft has the most features that I need. They do not appear to have RSS feeds to share other people’s content, but since that is not one of my main “wish list” features I can live without it. I have used Buffer in the past and it was a super easy service to use. The one thing that will trip you up is having only 100 posts. If you are sharing to 3 or 4 networks for each posts, it is hard to even schedule a month’s worth of posts with just a 100 available. Hootsuite is the big Kahuna of scheduling. They have been around for a L-O-N-G time and have a lot of features and integrations (lots of networks). I am not feeling like they have that many features on the low end to be priced at $30 a month. Agorapulse – Big benefit seems to be that you can use an “inbox” to monitor your messages and accounts. CoSchedule – Most pricey for the smallest amount of accounts. Seems to be made for teams. Everypost – Seems to be for posting other people’s content. Later – Started as just Instagram but now has Twitter, Facebook and Pinterest. Sendible – More of a service for social media marketing companies than Entrepreneurs. Social Oomph – Limited networks (Twitter, Facebook, Pinterest & Linkedin), seems cool that you can email in updates. Social Pilot – Another one that is for social media companies. Sprout Social – Definitely not the cheapest (starts at $100 a month) and is a BIG system. Zoho – Affordable for entrepreneurs and has a content library on the lowest plan. Tailwind – Perfect for Pinterest and Instagram… my favorite social media scheduler of all time! Okay, that was A LOT of research but I totally feel like taking the time to look them over based on what I NEED for my business is worth it! Because they all have such different features, it makes sense to look at them with a critical eye and compare prices for features, and cost for how much you can impact your ROI (return on investment). 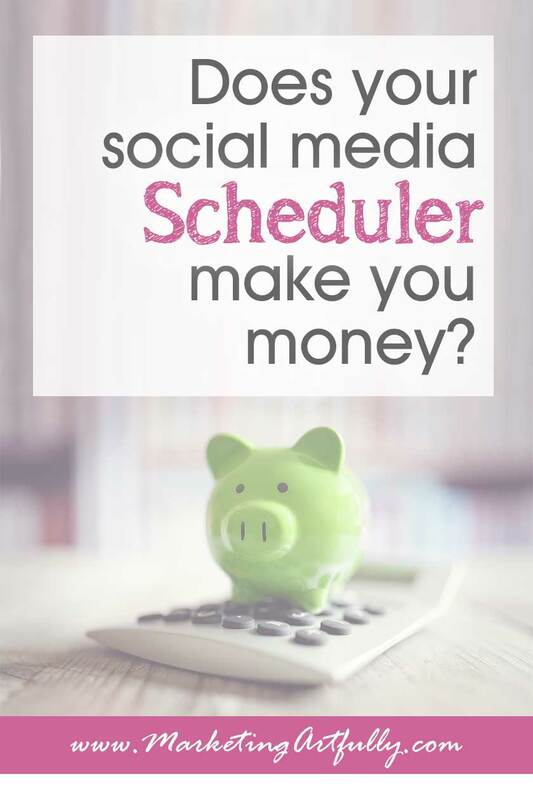 If you have a business that makes a lot of money from social media, it makes sense to pay for a tool that helps you do that! If you have a business that is just maintaining a social media presence for looks, then an easy to use, lightweight one will be all that you need! If you have a social media network that I have missed, please shoot me an email and let me know (Tara at MarketingArtfully.com). If it looks legit I might include it with a link!